In 2015, more than 4 in 10 people didn’t own a life insurance policy in any amount and only 3 in 10 Americans felt they had sufficient coverage1. When it comes to life insurance, most people have a vague idea that they should have it, but very few have a clear picture of what they really need. One of the most common questions that financial advisors hear is, “How much life insurance do I need?” Unfortunately, there isn’t a one-size-fits-all answer. The first question you need to answer is whether or not you even need life insurance in the first place. You’ll want to determine if you have enough money saved so that your death would not create a financial hardship on your loved ones. A single young adult with no dependents may not need life insurance if his loved ones can easily afford a funeral and burial. If you have several million dollars saved, your death may not cause a financial hardship either, even if you still have a family depending on you. If you don’t have enough money saved, you should purchase life insurance to protect your family in case you pass away. Even if you do have enough money saved, you may still want to consider purchasing life insurance for other benefits that it can provide. Once you have concluded that you need life insurance, you should do a Needs Analysis to determine exactly how much coverage to buy in order to adequately protect your family. The major factors affecting how much insurance you need are your marital status and who is financially dependent on you. Single people with no one depending on them financially (whether a child or elderly parent) should have enough to cover funeral and burial costs and also their debts. It is important to have enough to cover debts, because not all debts are discharged in death, particularly private student loans. Each of those dollar amounts is calculated and totaled. For "Income", an income replacement multiplier is applied to establish the amount of coverage needed. The multiplier changes based on age and the status of the insured’s home mortgage. For those under 50, an income replacement multiplier of 15 to 20 can generally be used. For older couples, a multiplier of 10 to 15 can be used, depending on how many years remain on their mortgage. These are guidelines designed to give you a general idea of the amount of insurance coverage you need, and can be adjusted for your particular situation and what makes the most sense for your family. Don’t forget insurance coverage for stay-at-home parents as well! Though they do not generate an income, the services they provide would have to be purchased if they were to pass away. Many stay-at-home parents function as nannies, cooks, housekeepers, gardeners, etc., so you will need enough insurance coverage to pay someone else to do the same if they are gone. 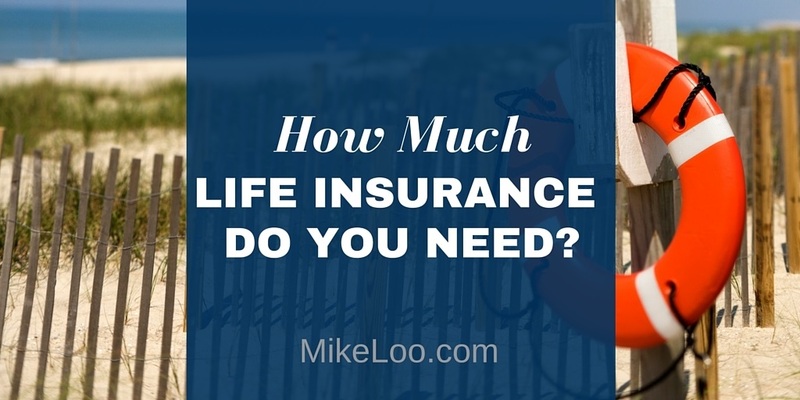 Once you determine how much life insurance you need, the next step is to determine what type to buy. There are two major types of life insurance, term and permanent. Term insurance offers coverage for a specified length of time, which can be anywhere from 10 to 35 years in some cases. The downside to term insurance is that it only covers you for the specified period of time, so if you pass away after the term is over, no money is paid to your beneficiary. However, you may only need insurance for a specific term, until your children are grown or you have enough money saved to avoid a financial hardship. One of the major benefits of term insurance, as opposed to permanent, is that it is usually the most inexpensive out-of-pocket option. Permanent insurance is coverage that has the potential to last your entire life and is not limited to a specific term of time. There are a variety of kinds of permanent insurance, such as Indexed Universal Life, Universal Life, and Whole Life. The advantage of permanent insurance is that it can last longer than term so that something will be paid to your beneficiary no matter when you die (assuming your policy has been funded properly). Nevertheless, it is more expensive out-of-pocket than term insurance. When making major financial decisions, like how much and what kind of life insurance to purchase, it is always helpful to speak with a financial professional. An experienced advisor can help you understand the intricacies of the various products available to you and how they can fit into your overall financial picture. 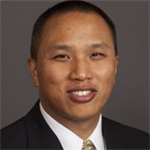 If you have questions about life insurance or would like a professional perspective on the right life insurance for your unique situation, give me a call at (949) 221-8105 x 2128, or email [email protected]. I look forward to helping you make sure your family is taken care of, no matter what happens.